Beginners' guide to wealth creation Part I: Why should you invest? Investing is a technique of building wealth, but it's not only for the wealthy. Anyone can start investing, and various flexible vehicles make it easy to begin with small amounts, and building a portfolio eventually. 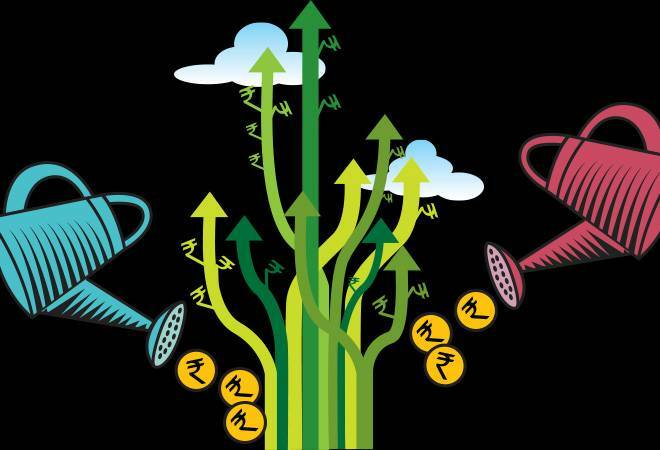 This is the first part of a three-part series on investments and wealth creation for beginners. Investing is the act of committing money or capital to an endeavor, with the expectation of obtaining an additional income or profit. Investment is important to accomplish one's financial goals and provides buffer for unforeseen expenses that may arise in future. The income that results from investing can come in many forms, including financial profit, interest earnings, or appreciation of asset value. Investing refers to long-term commitment, as opposed to trading or speculating, which are short-term and, therefore, amount to higher risk. Intelligent investing is the key to build wealth. Investing always contains risk as the business you invest in could go down in value or even close down completely. It is critical to research the business and analyse the risk before putting in your money. In order to build wealth, you should invest your money. If you don't invest, you will miss out on opportunities to increase your financial worth. Needless to say, you have the potential to lose money in investments, but if you invest wisely, the potential to gain is higher. If not invested, the buying power of your money will depreciate overtime. 1. Wealth Creation - Investing your money will allow it to grow. Most investment vehicles, such as stocks, certificates of deposit, or bonds, offer returns on your money over long term. This return allows your money to compound, earning money on the money already earned and creating wealth over time. 2. Beat Inflation - 100 rupees today would only be 96.5 rupees next year according to recent Indian inflation statistics, which implies that you would lose 4.5% of our money every year if kept as cash. Returns from the investment helps maintain the purchasing power at a constant level. If you don't beat the inflation rate you'd be losing money, not making money. 3. Retirement corpus creation - A person should invest while he is earning so as to create a corpus of funds that can be used when one retires. This retirement fund accumulates overtime and provides security to maintain a comfortable life-style even after retirement. 4. Accomplish financial goals - Investing can help you reach bigger financial goals. This return on your investments can be used toward major financial goals, such as buying a home, buying a car, starting your own business, or putting your children through college. 5. Tax-saving - Some investment vehicles give a double return by providing returns as well as reducing your taxable income, which in turn minimizes the tax liability such as equity linked savings scheme (ELSS) funds. Money saved is money earned which can be invested further. 6. High-returns - Investing would help to achieve high returns as compared to bank's saving account which provides a mere 4 per cent return. Investing in markets could provide you returns upwards of 20 percent if given the right time horizon. 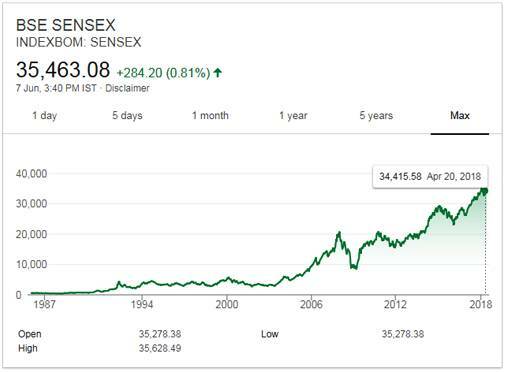 FACT: If a person invested Rs 724 in June 1989 then the amount would have compounded to Rs 34,903 today! Whether you are making an investment in equity in the stock market, real estate, government bonds or any other financial instrument, there are these two factors your investment is guaranteed to have; risk and return. Quite simply, risk refers to the probability of incurring losses relative to your investment. No investment exists that is completely risk free. Return measures the actual gain or loss your investment generates. While the word return is most commonly associated with a gain, it is perfectly possible to have a negative return, obviously indicating an actual loss on your investment. 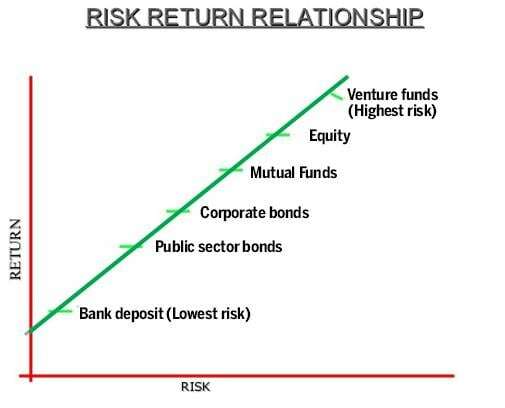 The risk/return tradeoff is therefore an investment principle that indicates a correlated relationship between these two investment factors. The tradeoff, conceptualised by the graph above, is quite simple: investments with higher risk are associated with greater probability of higher return, whilst investments with lower risk have a greater probability of smaller return. Young investors should have high proportion of equity in their portfolio as their risk taking capacity is more. Older people who are close to their retirement age should not invest in equity but should look for fixed income instruments such as bonds, debentures and government securities as they would provide a steady stream of cash flows with least possible risk. 1. Equity - Stock investments represent equity ownership in a publicly traded company. Companies issue stock as part of a capital raising regime which funds the operations of the company. Stock investments have varying growth prospects and are typically analyzed based on characteristics such as estimated future earnings and price-to-earnings ratios. Stocks can be classified in various categories. Stocks may also offer dividends adding an income payout component to the investment. 2. Fixed Income Instruments - Bonds are one of the most well known fixed income products. They can be offered by governments or corporations. They are also issued as part of a company's capital raising regime. Bonds pay investors interest in the form of coupon payments and offer full principal repayment at maturity. Bonds are typically rated by a credit rating agency which offers insight on their capital structure and ability to make timely payments. 3. Preferred Shares - are optimal alternative for risk-averse equity investors because these are shares of a company's stock with dividends that are paid out to shareholders before common stock dividends are issued. If the company enters bankruptcy, the shareholders with preferred stock are entitled to be paid from company assets first. Most preference shares have a fixed dividend, while common stocks generally do not. 4. Mutual Funds - are made up of a pool of funds collected from many investors for the purpose of investing in securities such as stocks, bonds, money market instruments and similar assets. Mutual funds are operated by money managers who invest the fund's capital and attempt to produce capital gains and income for the fund's investors. 5. Derivatives - Derivatives are investment products that are offered based on the movement of a specified underlying asset. Put or call options on stocks and futures based on the movement of commodities prices are the most common form of derivative investment. The above investment vehicles are the most commonly used avenues by investors. Yet not all investment vehicles would be appropriate for every investor. The investment is preceded by risk profiling of investor which means that the risk taking capacity of the investor is the pre-requisite for their investment avenue choice.